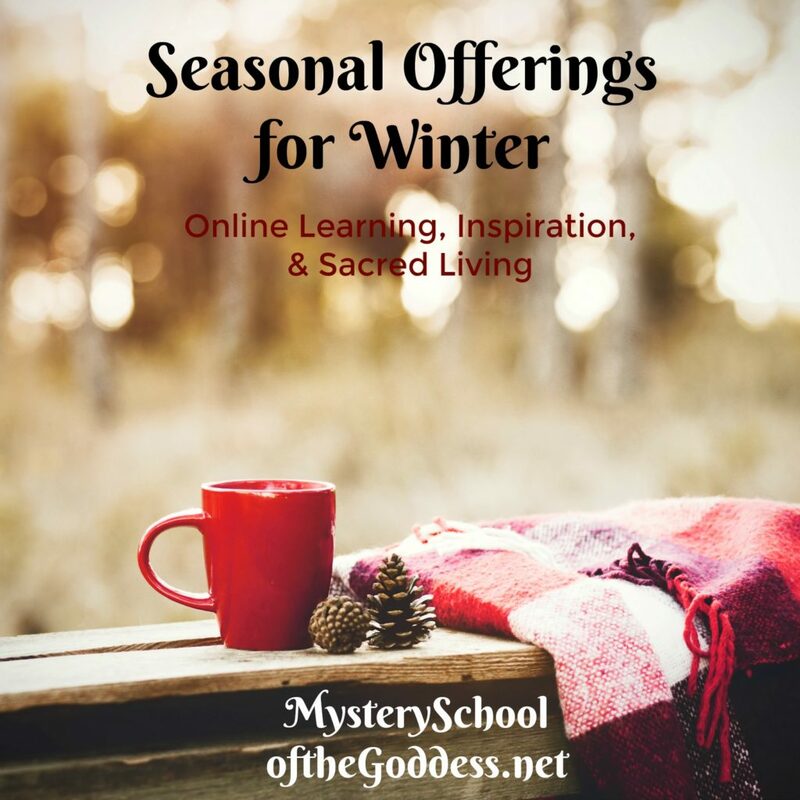 Winter is coming a bit early at Mystery School of the Goddess so that we could showcase the inspirational offerings available now through the end of the year. 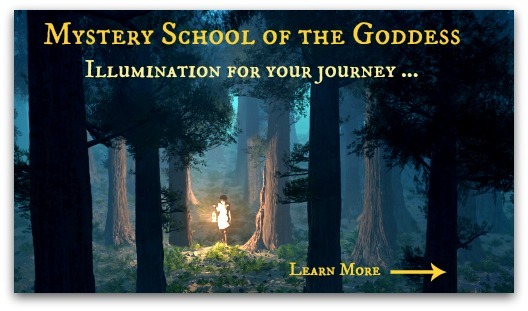 We will be updating new offerings here and on the Mystery School of the Goddess Facebook page. 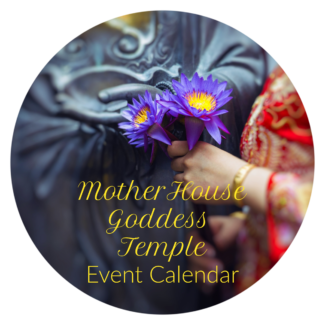 We are lighting the hearth fires and preparing (as of this writing and in the United States) to gather with friends and family to celebrate our Thanksgiving. Gratitude and counting our blessings are important practices and even more important for so many this year. As we stand in our blessings, we are able to keep our heart chakras open, to give and receive love, and to banish fear and anxiety. 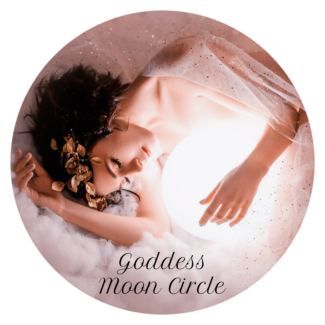 The Winter Crones and Goddesses stand behind us, sparking us with their Ancestral Wisdom and knowledge that even in the darkest times, the cycle inevitably progresses to the return of light. There is an invitation to deep reflection and even a call for solitude at this time of year. 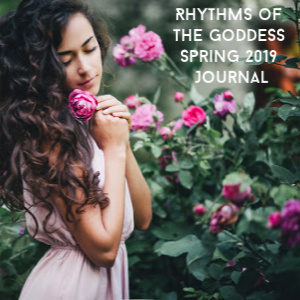 Goddess understands all and gives us permission to lull (even for a moment) into the comforting bosom of the Grandmothers. They are feeding the fires, singing our souls home, and giving us the strength to keep the faith in what seems like all-encompassing darkness. Nourish yourself at their tables, their fires, and remember that we are never alone. From the Tundra, the Warrioresses of the North give us the tools and courage to undergo metamorphosis, shamanic death, and to be reborn again and again. They stand vigil, ready for the ultimate sacrifices of the past year. What do you need to shed and leave to the harsh energies of the tundra? 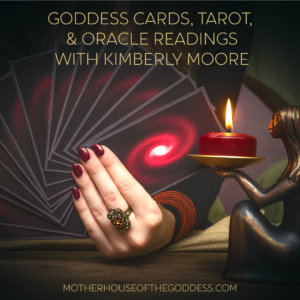 Carefully review the past months and begin to plan for what is coming, sifting through experience and emotion to decide what to take into your being, your life as the year turns. 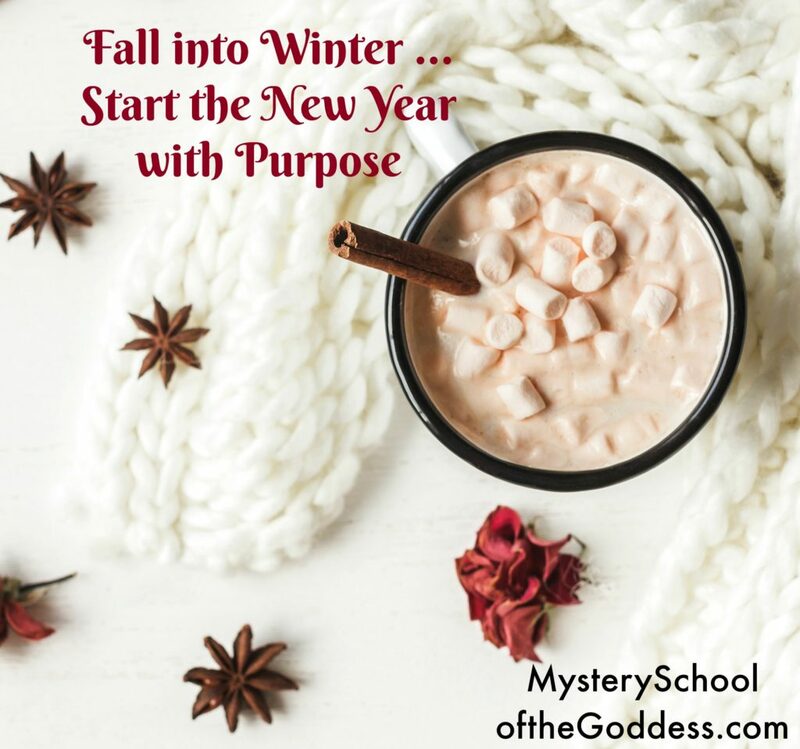 Mystery School of the Goddess and our instructors are delighted to bring you warmth, nourishment, and bliss to sustain you through the winter. 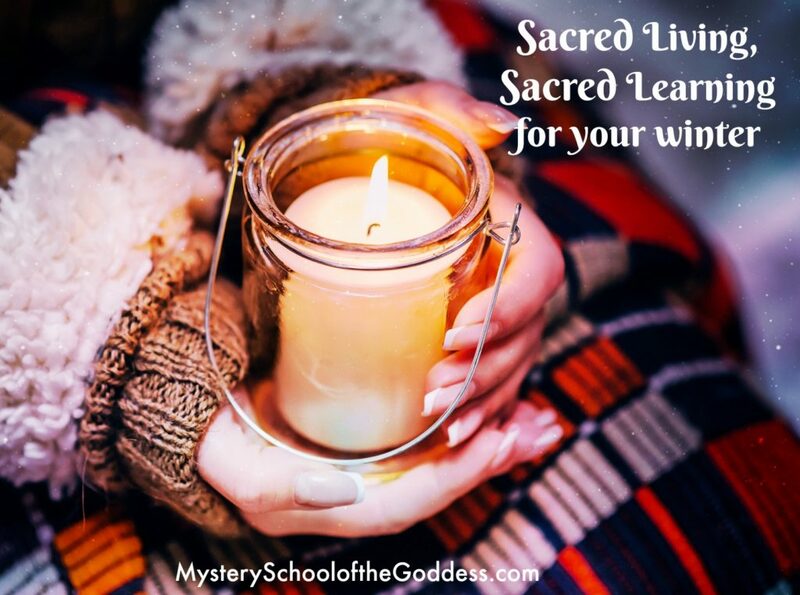 Our courses make wonderful holiday and Yule gifts! Celebrate the holidays, enjoy the glitter, laugh loud and often, eat LOTS! Wishing you all the Blessings of Winter! 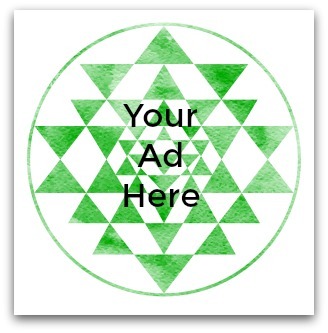 More Courses are releasing in December – check back often and subscribe to our email newsletter! HI JAYNE! I am going to check it out! THANK YOU!